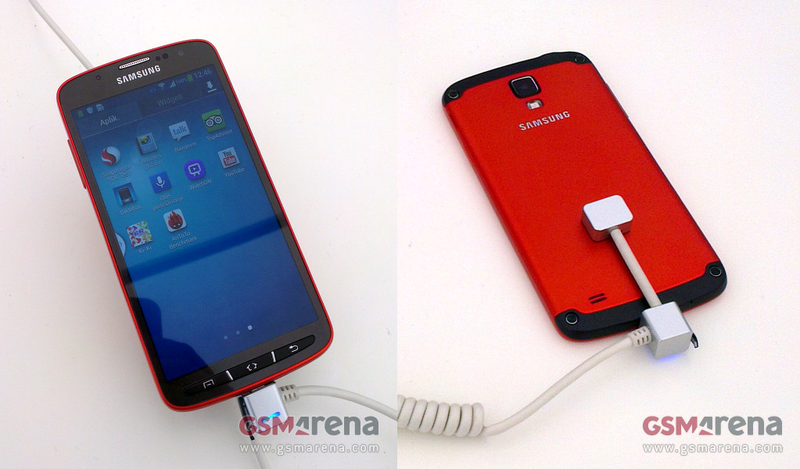 We've been hearing a lot of rumours about a ruggedised version of the Galaxy S4 for a while now. Up until now though there haven't been any really substantive rumours, but if GSMArena are correct then this is the device which will be released! According to the picture to the right the phone remains the same as the original Galaxy S4 in the internal stakes! That means that there is a quad-core Snapdragon 600 processor clocked at 1.9GHz with the Adreno 320 GPU. The screen is the same as the original and that means that there's a 5" Full 1080p HD amoled display and from the specs sheet the only thing which doesn't remain the same is the the same size and resolution as the original Galaxy S4 - a 5.0-inch 1080p unit, though it's unclear if it's a Super AMOLED one or not. The 8MP rear camera is the only downgraded feature from the original Galaxy S4! As you can see the external appearance of the phone is a fair bit different with hardware button employed below the screen and on the rear there are two screws visible which make the device look more industrial and the phone is also more metallic. 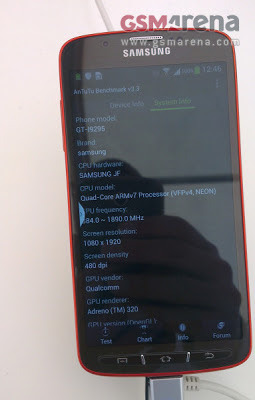 What do you think of this device? If this is the phone which is announced would you be interested? Let us know your thoughts in the comments below!